went to see them at sxsw, left after 3 songs. maybe they're better on record? absolute crap. totally boring. that guy has a terrible voice (and i don't even mine that he sometimes like a girl). plus, their live presence is just....awful. I'll be back for the revive in early 2007 when I've stopped laughing. Obviously kay bay has seen plenty of Silversun Pickups shows to judge from. Especially considering there is a girl in the band. That sings. i liked kissing families and the 2 songs from the new album i've heard sound pretty good. i don't really see the Placebo comparison at all though. indie doesn't need an "intelligent" ver of anything. Let's repurpose "IDM" as "Indie Dumb Music". ...All the Go Inbetweens is a great song. Heard a track off their new full length on the radio tonight and was unimpressed. Haven't heard the full-length yet but I've seen 'em a bunch. I dig 'em. Nikki is teh cuet. i like this record surprisingly. i mean for a kind of hyped band that gets a bunch of radio airplay I think it's alright; it's definitely very early 90's and sounds like they spent a lot of time listening to Gish. I hadn't put it on in a while but I still like them. oh that's the thread i was looking for. sandboxed. oh well. anyway yeah it's an alright record! 'm surprised. Funny the Gish comment. I was thinking just that - only I was thinking Siamese Dream. Probably both. I like the record. Quite a few tunes that were good to rock out to in the car over the summer. The EP is good too. Kissing Families is a great tune. I love the lead guitar when it does the little bend thing. Theres another band on the same label called Darker My Love that sounds quite Ride-ish. Oh man, I can't stop listening to "Lazy Eye." Good on ya jaymc - time for a spups backlash-backlash! For me it's "Well Thought Out Twinkles," though it is odd to now be hearing this on KROQ. Are they, like, going to break now that the backlash has already happened. Genius. I still love this band. They must be getting somewhere finally, I was at Target the other night and there was at least fifteen copies there. More than even the new Fall Out Boy. this band is painfully derivative and lame. the video i saw has loads of horrible indie rawk types in it. I feel so late on the hype, but "Lazy Eye" woke me up out of nowhere on the radio two months ago and I've been hooked ever since. I really like the Curtis Vodka remix, too, but I feel like I need to find one (purchase?) at a higher bit rate. Unless the one floating around is the most it goes. Yeah, the getting somewhere, I just got the album today and I'm rather surprised that I'm liking it, too. I kind of want more out of the percussion, though. the awful sound is not bit rate induced, i assure you. well if you can trump it with something. because i'm listening to it now...and it's guilty but I like it. I just want a sharper beat underneath. because it comes in not so exciting but I let the rest of it find me anyway. I hope for this band's sake that roger mexico is the only person that casually refers to them as "spups"
SP came on the radio this morning and thought was "Man these guys are gonna be the Interpol/Rapture of the soon-come early 90s revival." This band is OK on the shoegazey songs where just the girl sings, but the dude has an awful nu-emo shouty voice that just doesn't fit with the music. I hate this band because they make downloading songs by late '90s britpop legends Silver Sun difficult. Saw them play last night. Good show - I'm cool with the whole Pumpkins/Breeders comparisons though. There's many, many worse bands to be compared with. Whiny emo singer guy should probably give the audience interaction thing a miss though. "lazy eye" reminds me less of smashing pumpkins and more of the dambuilders, sunny day real estate, spent, and maybe swervedriver, the stuff that perhaps mid-era smashing pumpkins were also being influenced by. it's an interesting song, it's as if the last 15 years never happened. I give it an A-. i know i'm always so late on the great pop songs!!! i can't help it. the faster version they played on letterman is better. which songs have the lady bass player singing? I'm not sure if I stand by this comment or not. you're wrong on that. silversun pickups are not gonna be new/fresh enough when the 90s revival hits. they'll find some new band still playing their first dozen live shows to hype instead. I'm liking this new album. Unexpectedly. i like this. i am as baffled as you are. I need to listen! I love "Panic Switch." Both albums are kinda front-loaded.. if you take the 1st 7 songs from carnavas and the first 5 songs from swoon, it's as solid as a record can get. Neck of the Woods is the upcoming third full-length studio album by Los Angeles band Silversun Pickups. The album is to be released on May 8, 2012 on Dangerbird Spain; it will contain eleven tracks.dy Mary (Nerve Endings)." The first single "Bloody Mary (Nerve Endings)" was released via the band's official YouTube channel on March 25th. 3. "Bloody Mary (Nerve Endings)"
5. "Here We Are (Chancer)"
9. "Dots and Dashes (Enough Already)"
ha, that is what i get for trying to fix it. i was wondering what erryone else thought. Yeah, I kinda felt like there was a couple of directions they could've taken their sound and the new album was the one I really hoped the avoided. I am kinda bummed about this album.. The chorus of "Bloody Mary" is constantly in my head. And they had a stopgap EP thing from last year, and the first song on that is really great - "Seasick." I would add those to your ideal album playlist. yeah "bloody mary"'s really worked its way in. "seasick" was on an original draft of the playlist but it felt distinctly lesser than the other songs. They had a two song single for the last Record Store Black Friday thing and it was supposedly two Carnavas-era songs recently recorded, but I can't find it streaming anywhere. Curious to hear it. new album is totally their best, and proceeds logically from "cannibal"
Great video, good song. I don't think I've heard anything from this group since they sounded like Smashing Pumpkins; this one has more in common with DCFC. More importantly. 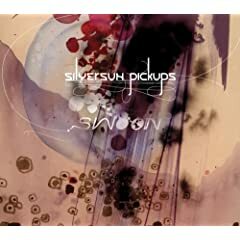 Silversun Pickups - do they make a good living? Can't wait to hear this, but can confirm that the video looks terrible without sound.